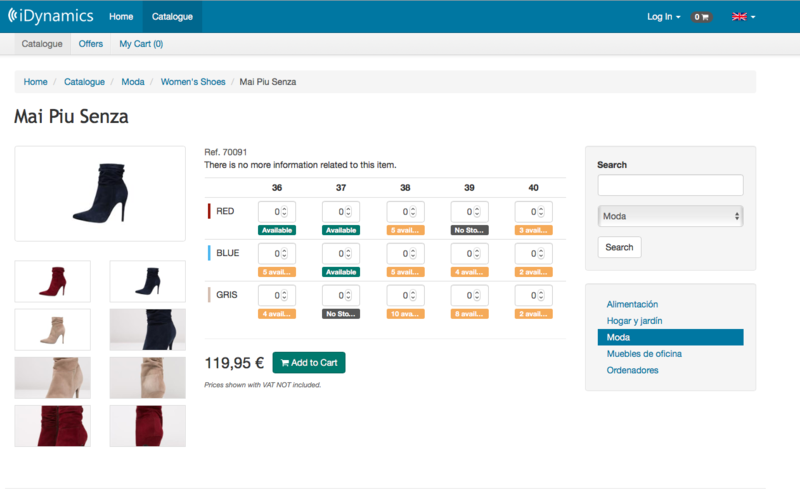 The Sizes and Colours functionality, allows you to enable iDynamics Commerce and iDynamics Connect scenarios in which the customer manages items with variants of size and colour. 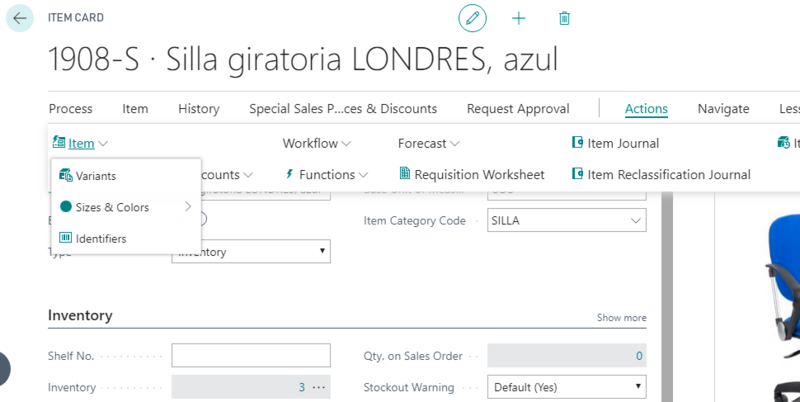 At the level of Dynamics 365 Business Central: It facilitates the management of sizes and the colours, automating the creation of the variants corresponding to all combinations of the sizes and the colours assigned to an item. At the level of iDynamics: It facilitates the creation of orders of the products that have variants thanks to the size matrix and colours. The setup and the parameterization of the functionality will be done from the Manual setup page, that we can open from the menu "Setup and extensions". From the form of setup of sizes and colours we will establish the automatic generation of variants, which create the variant code and its description. Generation of the variant code: The variant code is made up of the colour code plus the size code. The setup parameters allow to determine the code length colour and the separator character between the colour code and the size code. Description of the variant: The description of the variant generated is composed from color information plus size information, separated by the comma character (,). The parameters of setup indicate which information to use to compose the description. For both colour and size, you can choose between code and description. In the case that you select the description and the description is blank, the code would be used. Creation of sizes and creation of colours. From " Creation of Colours" and "Creation of Sizes", we access to the lists that they allow us to register the colors and sizes that we will assign then to the items. Colours: When we create a color we assign the code, the description, the hexadecimal code that represents it and the order of appearance in the visualization matrix. Sizes: When we create a size we assign the code, the description and the order of appearance in the visualization matrix. The groups of sizes and colors, allow to make a grouping of sizes and colors to facilitate their subsequent assignment to the items. Yes, for example, T-shirts have sizes identified by letters (e.g. S, M ,L and XL) and shoes have numerical sizes (36, 37, 38, 39...), the size groups allow us to group the sizes of each type and from the item data sheet, massively assign all the sizes that correspond. In the same way we will use the colour groups. 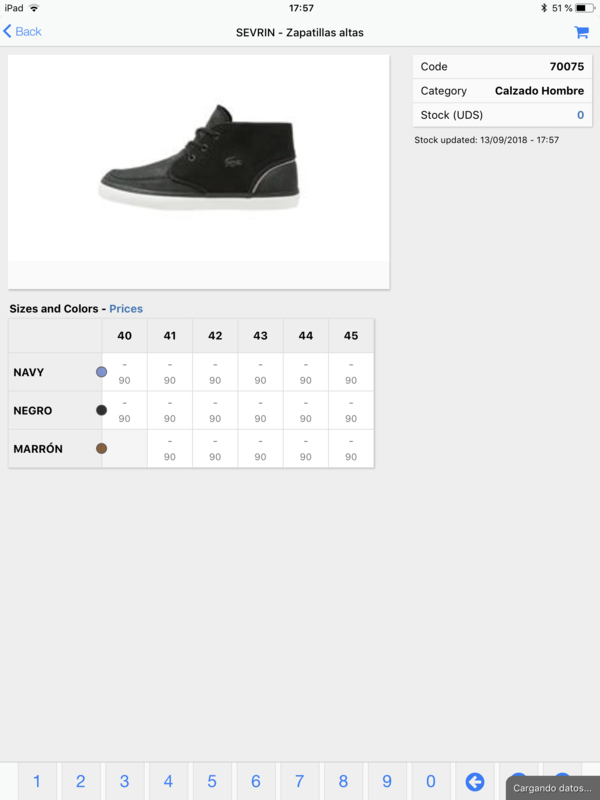 On the "Actions" tab of the upper menu ribbon of the item, we will found the drop-down menu "Sizes and colours". From the menu "Sizes" we will select the sizes in which is the product is available. The selection can be made manually or can be performed masively by selecting a size group from the "Apply sizes..." menu in the "Home" tab of the upper ribbon menu. In the same way, we can select the colors in which a certain item is available; using manual selection or masively from a group of colors, from the "Apply colors..." menu. 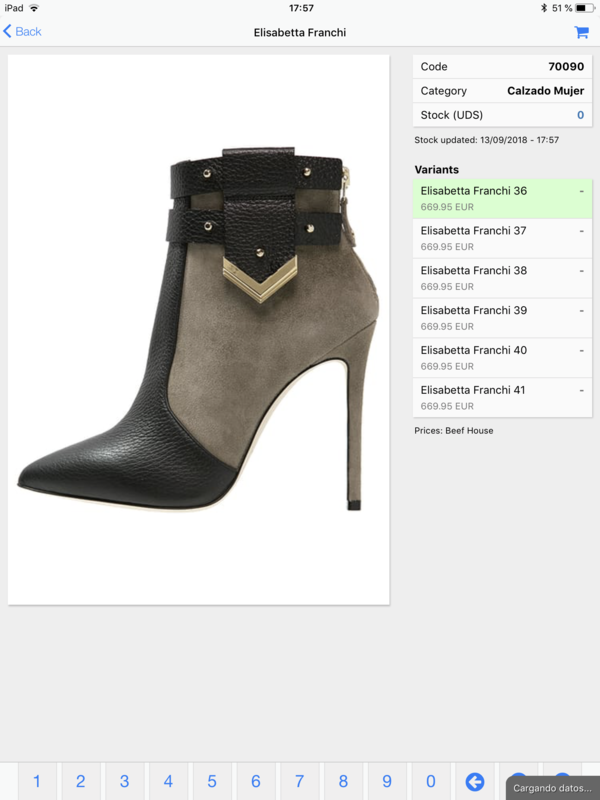 Once you have selected the sizes and the colors in which you will be available a product, we will use the "Create variants" action of the drop-down menu "Sizes and colours", to automate the creation of the variants resulting from size and colour combinations selected for the item. Note: no variants will be removed or modified, only will be created those which correspond to those size/color combinations that currently do no exist. iDynamics Commerce has the ability to display in a matrix format, the item variants, making it easier the enter orders. 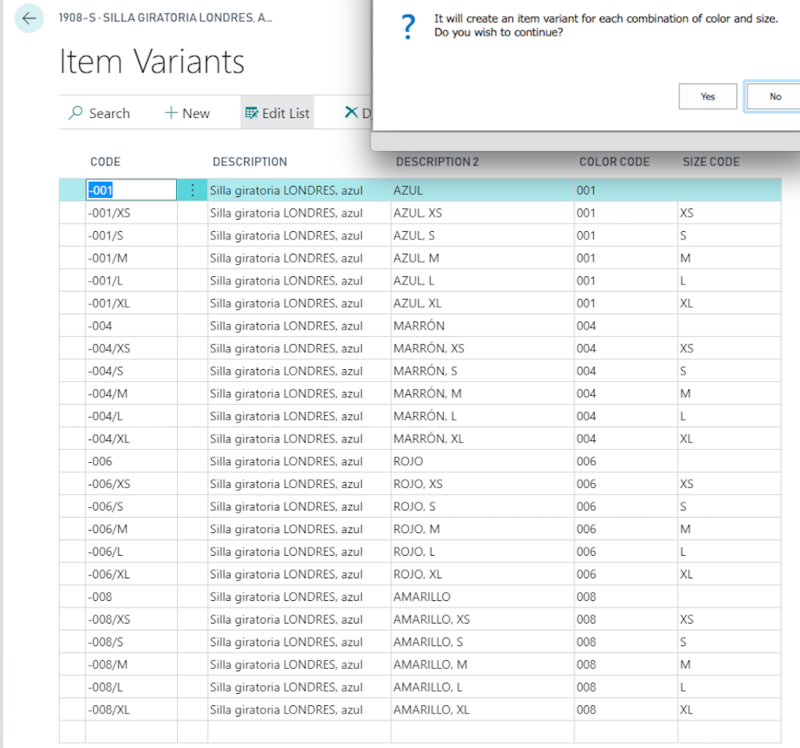 Through the setup document of iDynamics Commerce, we can indicate how the variants in the catalogue are shown. The variants can be shown "Grouped by items", "Grouped by colour", or "As different items". If we select the option "Grouped by items", the items appear in the catalog only once and when entering the card of the product we can see all variants. If we select the option "Grouped by colour", the products will appear in the catalog as many times as color variants have the item. 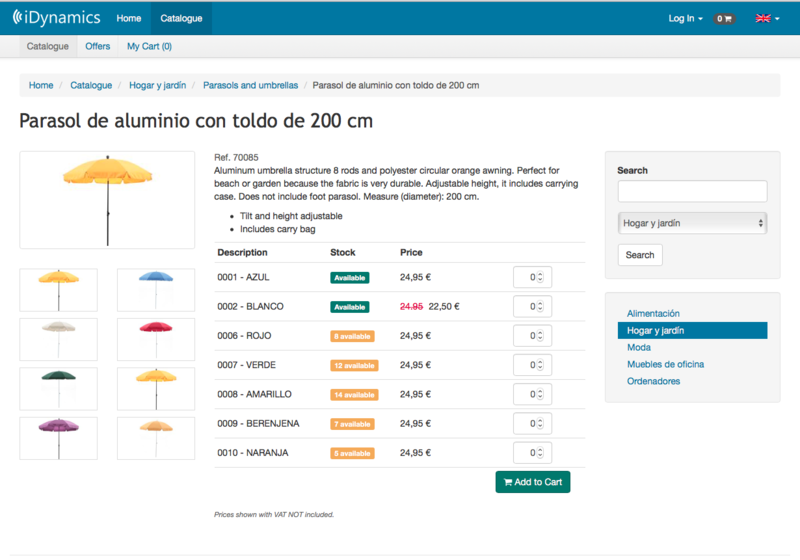 If we select the option "As different items", each variant will be displayed as a different product when browsing through the catalogue. 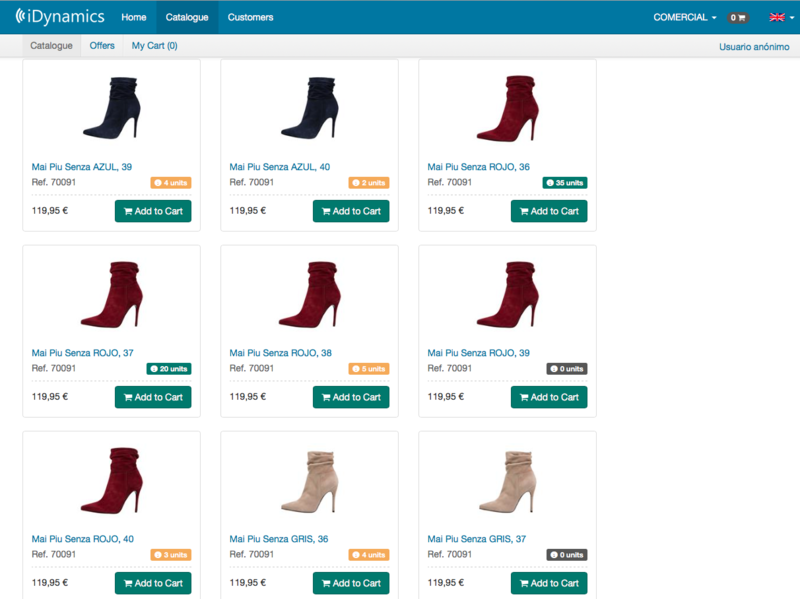 iDynamics Connect has the capability of displaying in matrix format the variants of the item, making it easier to enter orders.